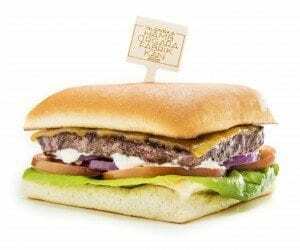 130 g top-quality beef in a freshly baked Brioche bun, cheese, lettuce, tomatoes, red onion, Factory sauce and french fries. Our first design. Simple and delicious. The model which all the others are based on. 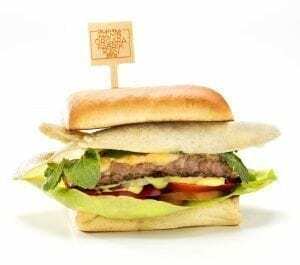 120 g Lamburger (lamb) in a freshly baked Brioche bun, mushrooms grilled with garlic, cheese, lettuce, tomatoes, red onions, sauce Béarnaise and french fries. A Hamburger Factory Special. A true pioneer. The one and only. 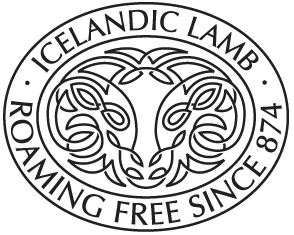 Made from fresh icelandic lamb meat, it will make your taste buds cry from sheer happiness. 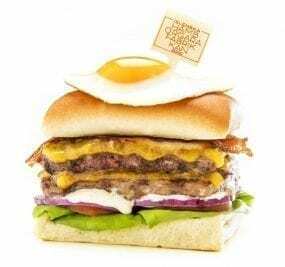 130 g top quality Icelandic beef with bacon, melted blue cheese, Boston lettuce, tomatoes, red onions, Factory sauce and an egg on top. Mr. Rock bares the nickname of the late rock & roll legend Rúni Júl. Loved by all and missed by all. Rúnar’s life-size bronze statue stands in our restaurant in Akureyri. Have a taste of The BBQ and your stomach will become like a modern museum of goodies. This one likes being washed down with an ice-cold beer. 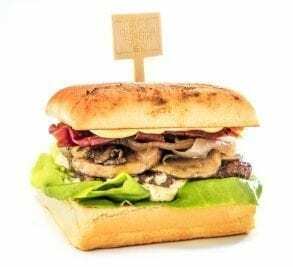 130 g top-quality beef in a freshly baked Brioche bun, bacon, garlic grilled mushrooms, cheese, lettuce, tomatoes, red onion, sauce Béarnaise and french fries. The Morthens is a direct, no-nonsense burger. He melts you with bacon and sauce Béarnaise. If any burger could sing, or paint, it would be our bestseller, the Morthens. 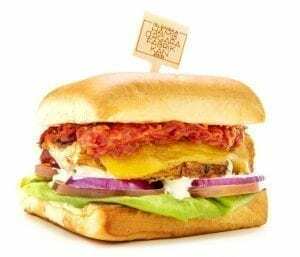 130 g top-quality beef in a freshly baked Brioche bun, pepperoni, jalapeños, green and red chilies, cheese, mesquite sauce, lettuce, tomatoes, red onions, Factory sauce and french fries. Despite its immense power, the Rescue (112) is not a dangerous hamburger. But we do advise you to be careful. Served with a bottle of Tabasco on the side. Grilled chicken breast glazed with mesquite sauce in a freshly baked Brioche bun. With sundried tomatoes and peppadew, cheese, lettuce, tomatoes, red onions, mango yougurt-sauce and french fries. 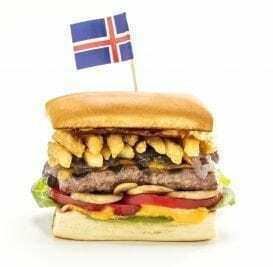 Miss Reykjavík is the Hamburger Factory’s chicken burger. Attractive. Different. Irresistable. 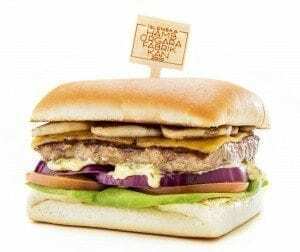 130 g top-quality beef, 120 g lamburger (lamb), double cheese, bacon, lettuce, tomatoes, red onions, Factory sauce and french fries. Served in a freshly baked Brioche bun with an egg laid on top. Double pleasure. This one is loaded with domestic animals that have lived in Iceland from the time of settlement. 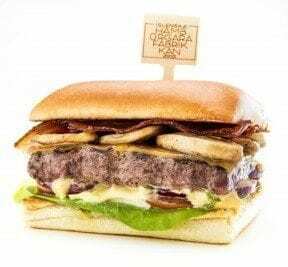 130 g top-quality beef in a freshly baked Brioche bun, Havarti spicy cheese, crispy bacon, lettuce, tomatoes, red onions and our famous Factory Honey-Mustard Sauce. Served with french fries. The Big Bo is named after the legendary singer Bo Hall who never lets his fans down. 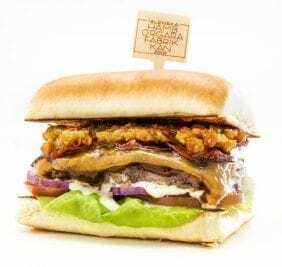 130 g top-quality Icelandic beef, crispy Serrano ham, garlic-grilled mushrooms, caramellised red onions, melted cheese, Boston lettuce, red peppers, crispy coated fries in the middle and chili sauce Bernaise. Aron Einar is Iceland’s national soccer team captain. As a born leader he talks the talk and walks the walk. Just like his honorary hamburger. This hamburger intends to please your taste buds. And that’s exactly what he will do. With fries in the middle. 130 g top-quality beef, brushed with white truffle honey. 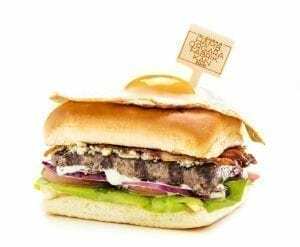 With garlic-grilled mushrooms, Japanese white truffle mayo, Boston lettuce, crispy Serrano ham and caramellised onions. Served with white truffle dust sprinkled fries. 130 g top-quality beef with our divine bacon-jam, chili-mayo, Havarti cheese, BBQ sauce and Boston lettuce. 120 g goose burger with a homemade blueberry jam, honey-mustard sauce, melted Havarti cheese and rocket. Served with sweet fries. 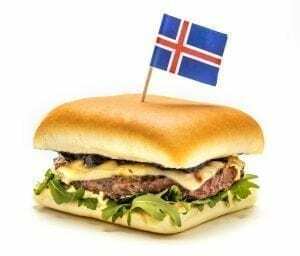 130 g top quality Icelandic beef marinated in Indian spices. Crispy papadum, fresh mint, spinach, tomatoes, bell peppers, red onions and a date sauce. Served with sweet fries and spiced with toasted Indian tadka. 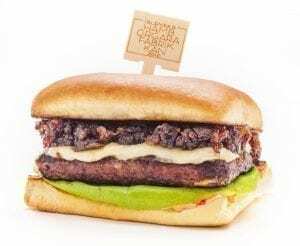 The honorary burger of Vilborg Arna Gissurardóttir who conquered the South pole in 2013 and Mount Everest in 2017. Chicken instead of beef 395 kr. Sweet fries instead of regular 295 kr. Japanese Chilli Mayo 395 kr. Japanese Truffle Mayo 395 kr. BBQ Sauce (V) 395 kr. Vegan Mayo (V) 395 kr. Vegan Chili Mayo (V) 395 kr.